Hardies by Django & Juliette is a heeled suede ankle boot. You would wear Hardies as a semi-formal boot, out to a fancy lunch or even a formal dinner. Hardies is covered in super soft red suede that will mould to the shape of your foot. Hardies has a long square toe and a front of foot zipper. 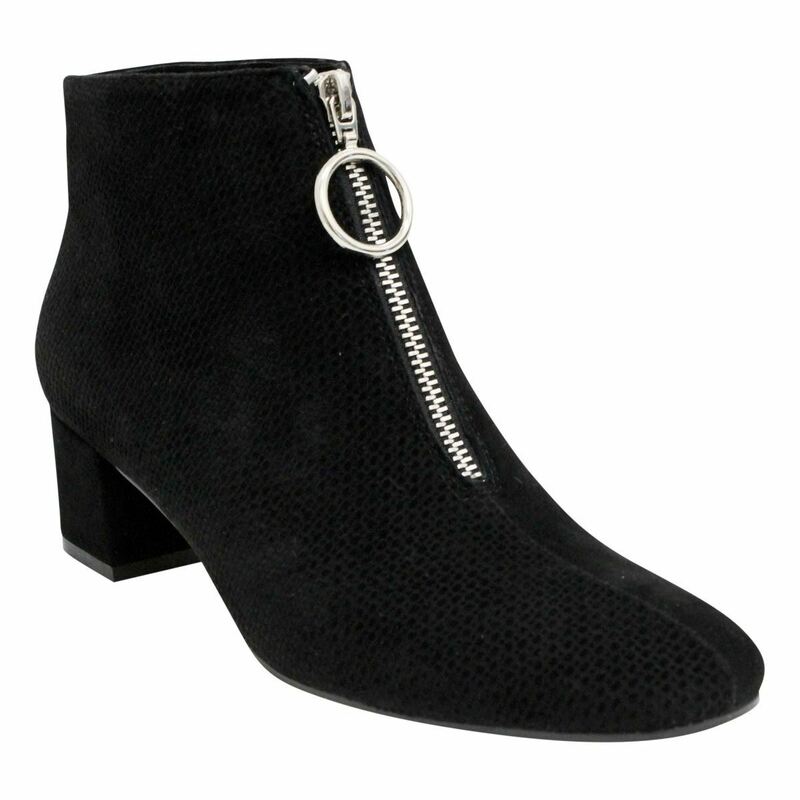 Hardies has an oversized circular ring pull to accentuate the zipper detail and also the length of the boot. Hardies has soft suede black dots accentuating the outside of the boot whereas the alternating side is plain red suede. Hardies has a block heel and a padded footbed making wearing Hardies all day an easy and not taxing job for your feet. To keep Hardies looking its best we recommend using our Waproo Water & Stain Protector Spray as well as brushing the suede with our Suede Brush when needed.